The matter of improving hospital workflows is a senior healthcare management concern. Increasing ROI and providing a high standard of patient health care is critical to a healthcare provider’s success. One of the identified ways of achieving this objective is through workflow optimization in hospitals. Fine-tuning hospital workflow management is a challenge. A lot of decisions that senior management makes to achieve workflow optimization in hospitals have an impact on all people within the hospital environment. If employees and patients are unhappy, it would be impossible to reach the goal of improving hospital workflows and would undoubtedly have a negative impact on ROI. In the highly regulated healthcare industry, it is necessary to consider the policies governing how particular activities are carried out when trying to improve hospital workflows. 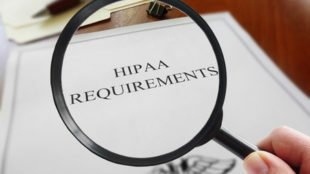 One particular activity is electronic Protected Healthcare Information (ePHI) communication, which is governed by a number of regulations such as the HIPAA and HITECH Act. 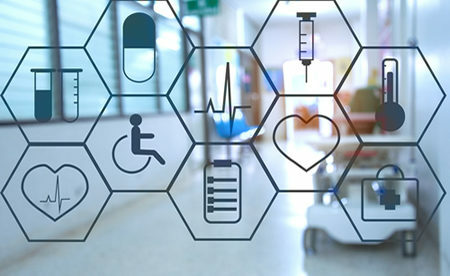 One solution for communicating ePHI has helped to improve hospital workflows, boost productivity and provide a higher quality of patient care. That is secure text messaging. Secure messaging is a communications tool that is HIPAA-compliant and can replace unsecure and obsolete channels of communication like email, voicemail, fax machines, and pagers. Such communication channels usually hinder critical workflows as a result of medical specialists playing phone tag when processing hospital admissions, requesting doctor consultations, getting laboratory results, coordinating care transition and arranging patient discharges. All of these processes have their set workflow yet oftentimes obsolete channels of communication hinder the smooth workflow. The ensuing communication friction squanders time, destroys staff moral and slow downs patient care. Secure messaging ensures that message accountability enhances hospital workflows, avoids the wastage of resources and enables medical specialists to spend more time with patients. Secure messaging minimizes risks, assists healthcare providers in complying with HIPAA, and helps them become eligible for payments via the Meaningful Use incentive program. Secure messaging provides quicker, more reliable communication that allows healthcare specialists to take care of more patients with higher success rates in a short time frame. Secure messaging allows healthcare experts to use their personal mobile devices for tasks like organizing their workflows and while promoting collaboration. One area of a hospital’s operations that requires quick, secure communications is the Emergency Room. Critical decisions are made inside the Emergency Room to improve the well being of patients. Prior to the arrival of patients at a hospital Emergency Room, secure messaging can be used to boost the efficiency of workflow in the ER. First responders and Emergency Medical Services can use secure messaging to alert healthcare specialists about incoming patients and their medical conditions. Images and videos can be attached to give a more detailed description of the patient. Secure messaging is better than pagers or radios in relaying these messages. Emergency Room teams can use the information when attending to the patient and can make the necessary resources available ahead of time. Sending pictures and videos through secure messaging makes it possible for consultants to quickly evaluate patients even if they are not physically present in the Emergency Room. This eliminates delays in admission and ensures that patients get treatment fast. An efficient hospital Emergency Room workflow benefits “treat and release” patients, who may otherwise face delays in receiving treatment due to case congestion. According to a 2010 research study publicized by BioMed Central (BMC), admission delays result in a longer inpatient stay which amounts to over $2 million per year in costs to an average-sized healthcare organization. The study also observed that the workflow efficiency in hospital admission was affected by more factors outside of the Emergency Department than the admissions process alone. Although certain factors aren’t resolved by secure messaging, it is possible to achieve substantial improvements to hospital admission workflow efficiency by using secure messaging. Secure texting can be used to monitor bed availability and accelerate lab turnaround. The auto-forward feature of the most recent secure messaging apps allow the forwarding of a consult request to another doctor if one particular doctor is not available. This can eliminate admission delays. The secure group messaging feature can be used to place orders and send automated notifications to section managers and nurses who are in charge of the patient’s medical care. Section managers, administrators and nurses can get clarification of orders through secure messaging if necessary, and obtain quick responses from doctors or their deputies if they’re not available. Doctors can also obtain laboratory results and radiology photos as soon as they are inputted in the EMR to speed up diagnoses. Hospital laboratories perform a vital function in the healthcare system. Laboratories in hospitals and clinics conduct more than seven billion tests annually, and laboratory results guide more than 70% of medical decisions. Every specimen goes through about a dozen steps starting from sample collection to the delivery of laboratory results; and, though processes are established to take full advantage of hospital laboratory workflow efficiency, a number of these steps are conducted manually, which adds time to laboratory turnaround and introduces areas where errors could be made that jeopardize patient safety. Based on a study performed by the Tepper School of Business at the Carnegie Mellon University, integrating secure messaging with EMRs lowers the risks to patient safety by 27%. Researchers learned that implementing and integrating secure messaging helped correct the order and follow-up of the correct test, patient identification, and the appropriate communication of test findings, specimen quality and delivery issues. When laboratory results show a critical or emergency health concern, healthcare experts need to take quick action to stop a patient’s condition from deteriorating. Using secure messaging with an EMR makes certain that lab findings don’t remain in a doctor’s inbox until he or she deals with them. Rather, EMR notifications are automatically delivered and reviewed as soon as changes are made to the patient’s medical log, improving hospital laboratory workflow efficiency and possibly saving patient lives. One area where workflow optimization in hospitals could be adversely affected by external events is in the pharmacy. The majority of pharmacies have the crucial components set up to maximize hospital pharmacy workflow efficiency, which are a good work system, team members equipped with the proper skill sets, and a work environment that allows the accurate and efficient filling of prescriptions. Nonetheless, hospital pharmacy workflow efficiency is frequently jeopardized by responding to insurance concerns and doctor callbacks to validate prescriptions. By using secure messaging, the problems of insurance and physician callbacks are not resolved, but the amount of time spent attending to them goes down. Secure messaging can help a pharmacist handle a payment problem or transmit a request to a doctor for order clarification much faster. It comes with the knowledge that receiving the message is 100% guaranteed and most likely to be responded to in the shortest possible time frame without phone tag. Besides helping enhance hospital pharmacy workflow efficiency, both off-site and in-house pharmacies are able to comply with the requirements for the Meaningful Use incentive program, which include the electronic exchange of data, electronic prescription hand-offs, and the tracking of medication journeys through secure messaging. For the duration of a patient’s hospital stay, secure messaging allows healthcare specialists to enhance hospital workflows and coordinate the change of care. Secure messaging eliminates the short delays that can easily pile up, which could put patients past the 72-hour Medicare reimbursement time frame for a lot of procedures. Moreover, the hospital stay of patients can be reduced and that means hospital beds become available sooner. Many other stumbling blocks to an efficient hospital admission workflow are avoided. With regards to hospital discharge workflow efficiency, the role of secure messaging is important in boosting productivity and providing a higher quality of patient care. Commonly, doctors will give clearance to discharge a patient; but unnecessary delays happen because discharge orders are not seen in the EMR. By using secure messaging, automated notifications are dispatched to every member of the discharge team. Discharge planners, section secretaries and nurses are immediately aware that clearance to discharge a patient has been provided which means patients can be discharged much more quickly. The nurse texts the patient’s family to let them know to collect the patient.